Standing on a clifftop along the north Cornwall coast is a six-bedroom property called Panorama. 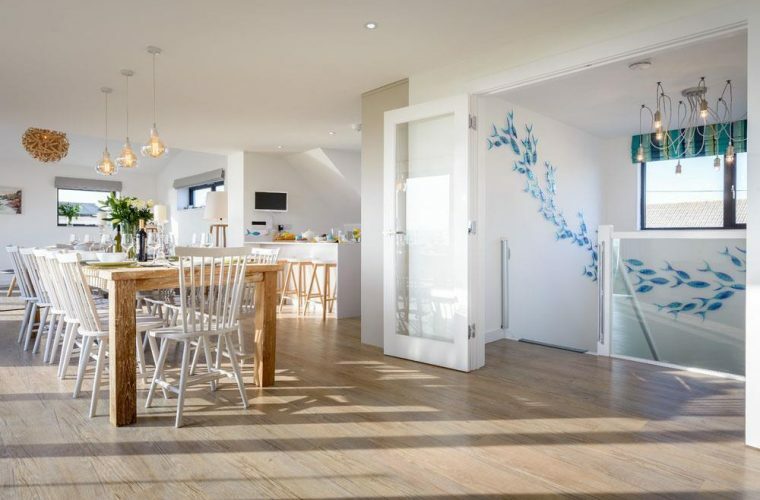 The owners commissioned Tracey to create a stunning family home, which would also be used as a holiday letting property. Her role was to fully manage the project with a coastal but not nautical interior design scheme. When Tracey began the project, the property lacked a feeling of comfort and cohesiveness. 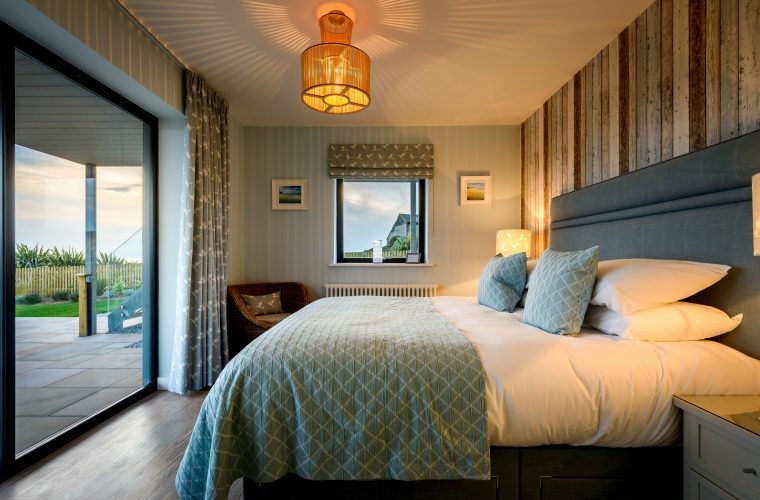 The magnificent floor to ceiling windows, which frame the beautiful sea view, were the centre of Tracey’s inspiration. Starting with a dramatic colour palette, Tracey used her knowledge of colour and light to create warm and welcoming spaces. Her design ideas derived from the colours of the north Cornwall landscape, where blue is most prominent in the horizon. From soft furnishing to finer details, Tracey created a beautiful and contemporary abode which is both functional for her London based clients and practical for holiday letting. 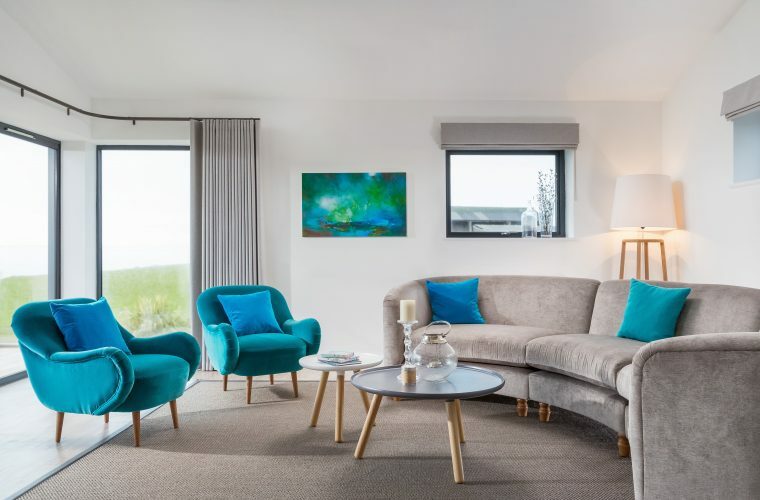 This beautiful coastal property is available to book for family holidays through Beach Retreats. 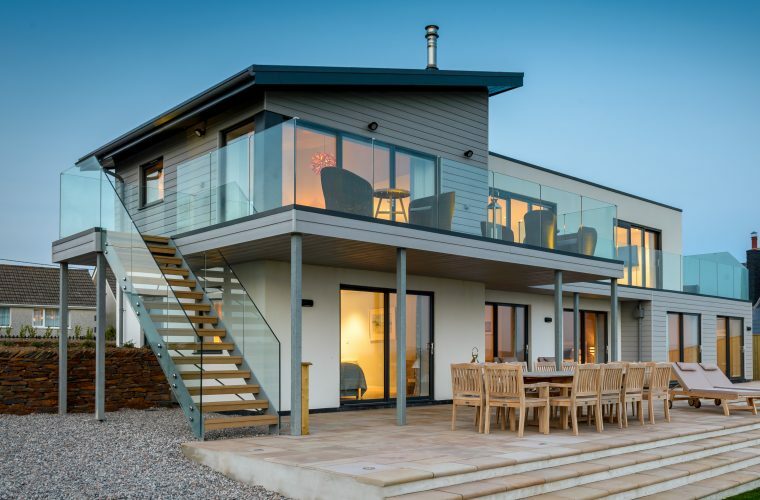 For advice on setting up a holiday let or for replicating Panorama’s coastal scheme at home, visit Tracey’s blog.